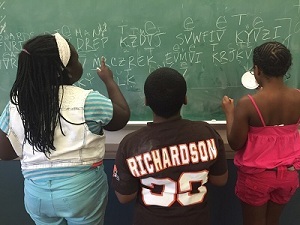 The Math Corps Cleveland is a tuition-free program thanks to funding from generous donors. 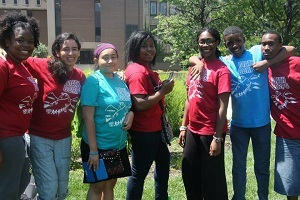 Consider making a gift to the Math Corps Cleveland. From $5 to $1,500 (and any level in-between and above), your gift makes a big impact. Here is a breakdown of what your gift could support. $5: One day's transportation (RTA bus tickets) for a student to get to and from camp. $75: Supply and food costs associated with one middle school student's participation. $100: Scientific calculators for an entire team of 10 middle school students. $250: School supplies for an entire 16-person team. $500: One high school student's teaching assistant stipend. $750: Food for the whole camp on one of our Thursday "Family Meal Days." $1,000: Breakfast for all six weeks of camp. $1,500: T-shirts for all Math Corps participants.